Shire Hill Hospital is the old Union Workhouse and was known locally as ‘Up Yonder’ because people were too scared to say the word ‘workhouse’. It was built before the 1834 Poor Law act was amended, shifting responsibility for the poor in the local community away from the church. 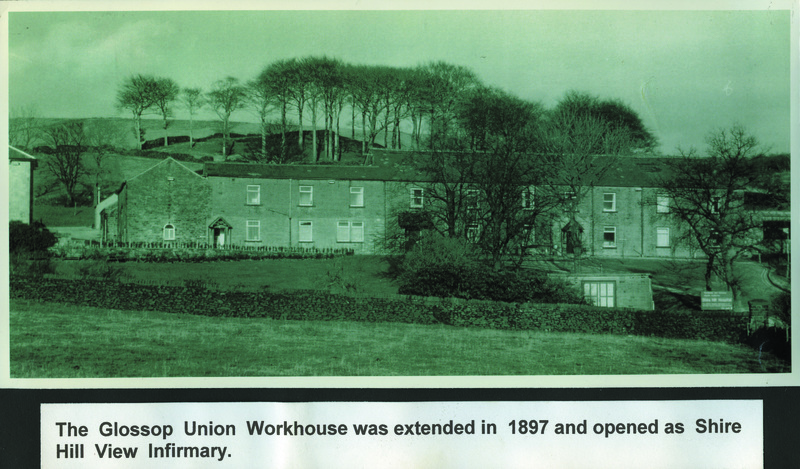 The Glossop Poor Law Union, established in 1837, took over the running of the workhouse under the governance of the Glossop Board of Guardians. It was a two-storey stone structure running east to west, containing piggeries within the grounds. All workhouse inmates wore workhouse uniforms, which for able-bodied women consisted of a blue and white striped dress, apron, shawl, and bonnet or cap, which at Old Glossop had a distinctive pointed shape. By 1881 there were 65 residents at the workhouse many from the cotton industry, including weavers, winders and spinners – all had fallen on hard times. The 1881 census tells us that the ages of the inmates were varied including a 5 month old girl and her unmarried mother to an 84 year old woman. Inmates that could work did so in their cells, although many vagrants who found themselves at the workhouse door worked at the quarry behind it to pay for a nights stay. Listen to Rita Manzies and Janet Connor talking about their memories of the Workhouse tramps. Janet’s interview was recorded in the 1970s by her grandson, Tony Wright, using an old four track recorder. “When we were little the tramps used to, we were playing outside, and the tramps used to say ‘can you tell me where the tramp ward is?’ So you used to see these tramps going up to get a bed and breakfast. The National Assistance Act of 1948 abolished the Poor Law and created new welfare provision and accommodation for the poor and needy under the leadership of the local authority. 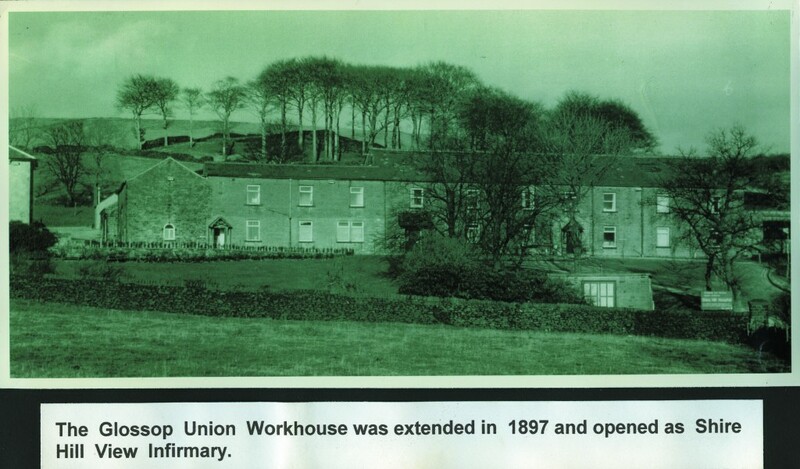 The Union Workhouse became known as the Glossop Public Assistance Institution. With the birth of the National Health Service it soon became Shire Hill Hospital.